Virtual cards have been available for seven years, but there is still a large percentage of corporations and mid-sized companies that have not incorporated the use of V-Cards into their A/P payment automation process. 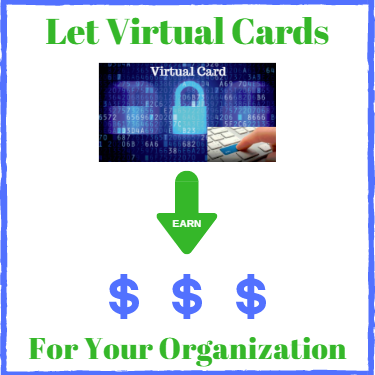 Companies that are holding back from using Virtual Cards may not understand the potential benefits. Find out below how virtual cards can benefit you, - from increasing efficiency and reducing risk to saving money... to even EARNING CA$H rebates. Who wouldn't like to turn their AP department into a revenue generator? Peaked your interest? Read on — PS. 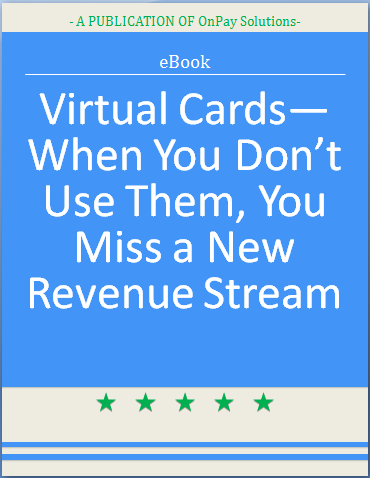 make sure to scroll to the end for a Free eBook "Virtual Cards: When You Don’t Use Them, You Miss a New Revenue Stream". FOR PAYERS: No Vendor Overcharging - Since virtual cards will only carry the exact amount you wish to pay, there is no chance for vendors to overdraft and misuse the card. Traditional credit cards provide no protection from this. Smith states that with credit cards “that’s an error that would get corrected down the road, but the virtual card prevents the error in the first place." As the PAYER you also gain the benefit of an enhanced relationship with the vendor who will know where they stand and who won't be calling looking for a payment. FOR PAYEES (VENDORS): No Paper Chasing - Virtual cards take less time as well as less paper. CFO of Fortessa Tableware Solutions, Jeff Smith, states that "...there is no check to receive or take to the bank, and you don’t have to worry about the payment getting lost, mishandled, or misplaced.” Therefore, with virtual cards, getting the payment to the bank is guaranteed. It seems that it will be only a matter of time before awareness spreads from those early adopting companies who are already reaping the benefits of Virtual Cards to other companies and institutions. They save paper, money, and provide added security for your credit payments...not to mention that they earn cash rebates for each transaction and contribute to the PAYER company's bottom line. To learn more about what virtual cards can do for you, and how they have already helped our customers, click below.